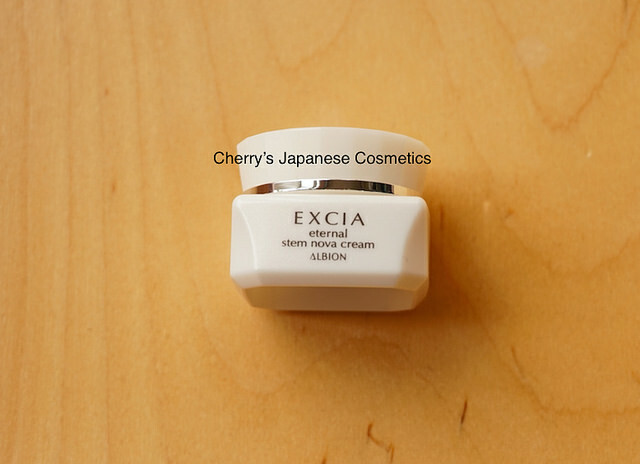 I (Cherry) obtained a small size of Albion Excia AL Eternal Stem Nova Cream from Selection Kit AW2016. Please let me share with you my personal review. Albion Excia AL Renewing Extra Rich Milk SV is an oily emulsion. This is “Cream”, but not pretty much oily product as I had expected. It is quite easy to spread on my face. Some reviewers in Japan are saying they found their wrinkles, even mouse wrinkles are left with applying this cream. Seems this cream is for anti-aging, anti-wrinkle cream. But I have no problem of wrinkles, and I can not say anything about that. It moisturized my skin well. In person, Albion’s perfume is not for my taste, but Excia AL is better than other Albion brands, like Exage or Infiness. Totally to say, I thought it is a nice cream, but for me, it is too early to use. Please check the latest price, and order from here: Albion Excia AL Eternal Stem Nova Cream, or Wanna purchase by Japanese Yen?? Visit our JPY Branch!